Recently I had the pleasure of working with Kelli Hunt Photography and Envision Wedding Studio in putting together elements for a simple winter bridal photo-shoot. 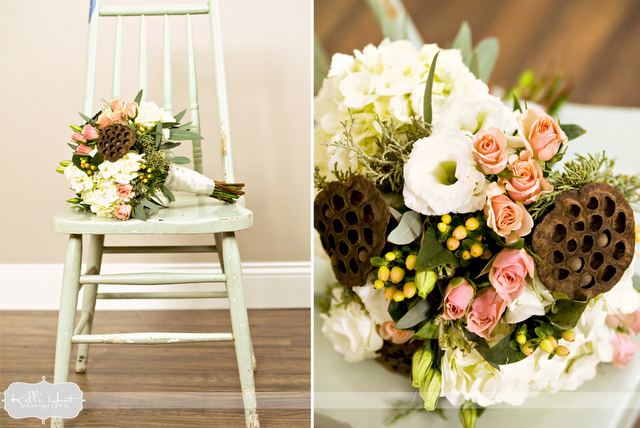 For the bouquet, I chose to use a variety of flowers including ivory hypericum berry, cream colored hydrangeas, brown pods and soft pink spray roses to create a mixture of textures and an organic feel without being too rustic backwoods. The soft creams combined with the browns and soft pinks are both subtle and feminine, not to mention the big colors of the season. This combination of flowers and colors is also perfect for anytime of year whether it be for a spring fling or a soft and airy summer affair. 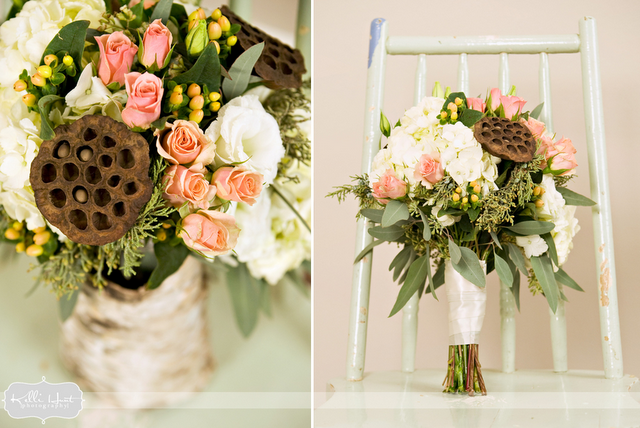 For more pictures from this beautiful shoot, make sure to head over to the KHP Blog. Posted in Wedding Flowers and tagged bridal bouquet, brown wedding, earthy wedding, floral design, ivory wedding, pink wedding, rustic wedding, sioux falls flowers, sioux falls wedding flowers, sioux falls weddings, south dakota flowers, south dakota wedding flowers, south dakota weddings, wedding centerpieces, wedding flowers, winter wedding bouquet.